There is a new Kroger eCoupon out that goes perfectly with great back to school sales! 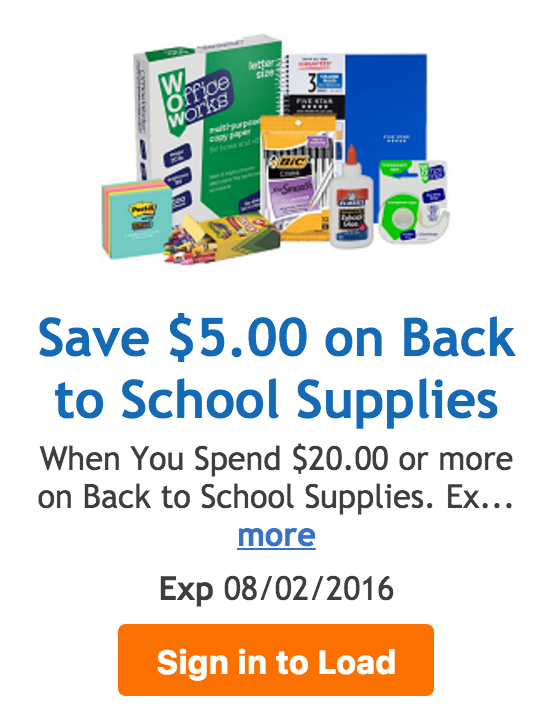 Load a new coupon to save $5 off any $20 purchase of school supplies. Look under “General” to find it quickly. With items as low as 17¢ each you can get stocked for very little out of pocket! It does have a few exclusions: backpacks, calculators, ink cartridges and clearance.